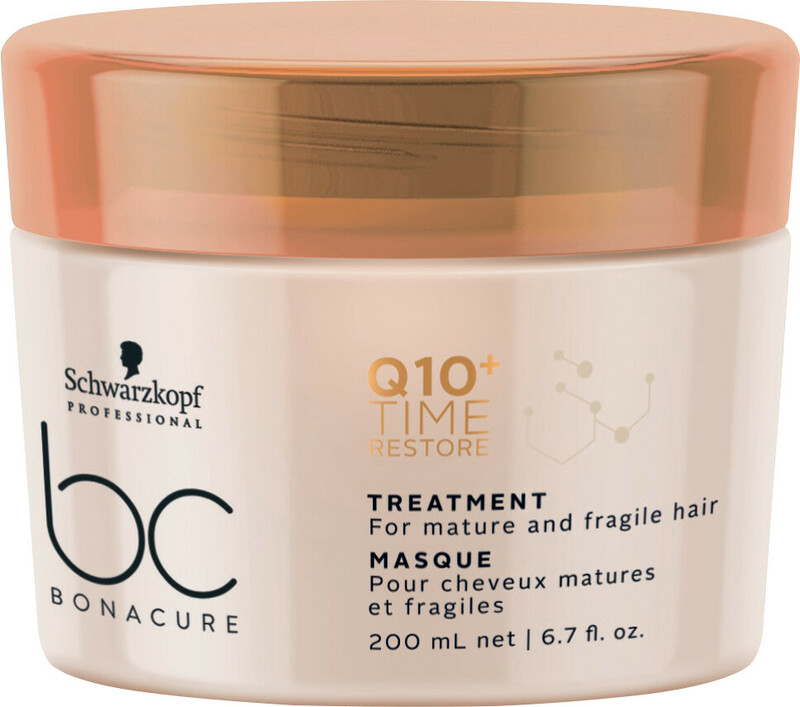 Repair and strengthen mature hair with the Schwarzkopf Professional BC Bonacure Q10+ Time Restore Treatment Masque. As hair ages it can become weak, lifeless, dry and brittle. The Q10+ Time Restore Treatment Masque will provide the deep care that mature hair craves, restoring its health over time. Designed to bring hair back from the brink, the mask combines high levels of Q10 together with nutrifiller technology, which work to support keratin production for hair that is more manageable and healthy-looking no matter your age. Intensive and hardworking, this light cream treatment will recharge lifeless and very dry hair, restoring it with renewed elasticity and shine. Apply to the mid-lengths and ends of towel-dried hair and work through. Leave for 5-10 minutes and then rinse thoroughly. Use 1-2 times a week. 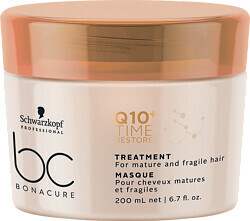 Schwarzkopf Professional BC Bonacure Q10+ Time Restore Treatment Masque is rated 5.0 out of 5 by 1. Rated 5 out of 5 by WAH1961 from Good conditioning treatment Light conditioning treatment for fragile hair. Does not leave heavy residue on hair & helps to strengthen older hair. Would recommend.